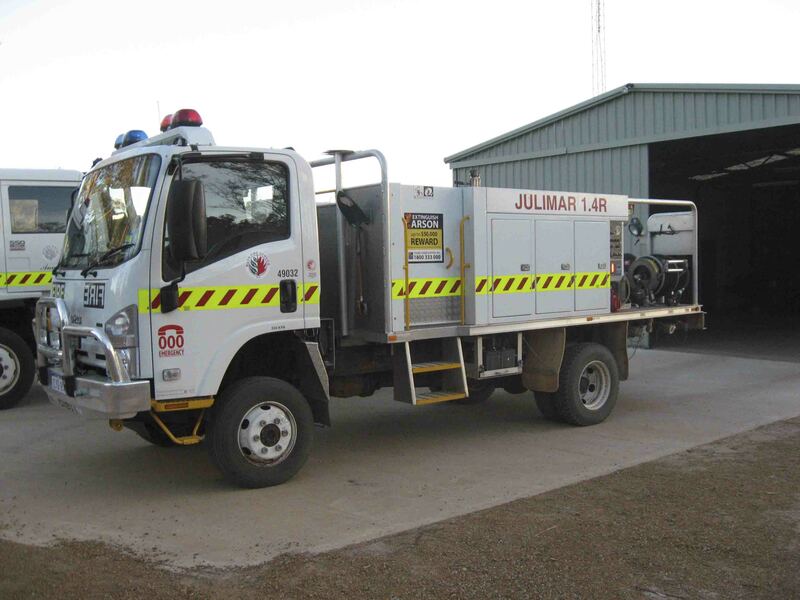 The Units of the Julimar Volunteer Bush Fire Brigade. Our 2.4 Heavy Tanker is a Isuzu FSS 550 Crew Cab Truck with a 2000 litre tank and 4WD. It is equipped to fight bush fires and to assist at structural fires and is operated by a crew of three. It has a PTO driven main pump and an Auxillary petrol pump. She has been named 'Annie' in honour of one of our auxiliary members who, when her husband was struggling to drive our very unsafe, 1967 Custom Carrier, rang the Minister to complain that other brigades were getting replacements for their much more recent units before we were to receive a safe appliance. The Minister rattled some cages - we got the new truck! 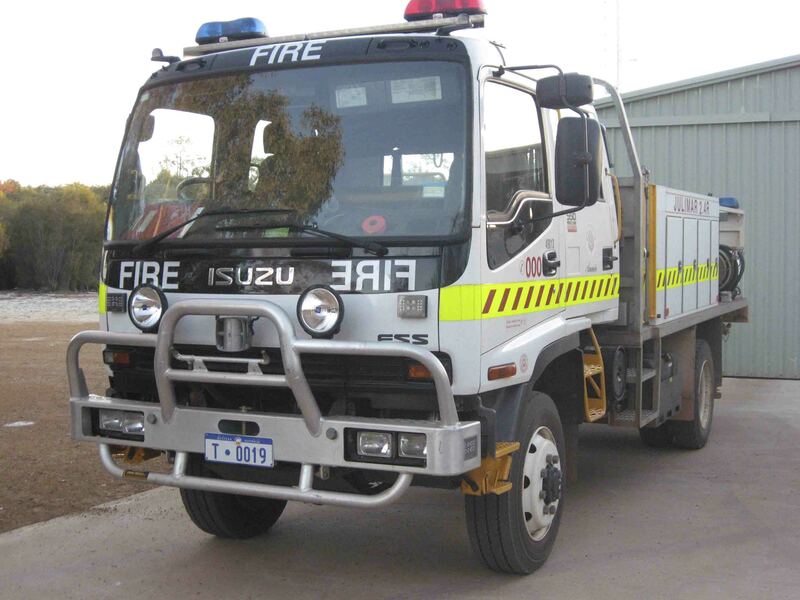 Our 1.4 R Appliance is is an Isuzu NPS300, single cab chassis, with a 1500 litre tank and 4WD. It has an operating crew of three (3) and carries the necessary fire fighting equipment for a light duty Appliance.